Washington (CNN) President Donald Trump headed to one of his golf courses again Sunday, marking his 13th visit to one since taking office and the eighth consecutive weekend he has spent at properties bearing his name. While the President hasn’t played golf on every visit, sometimes attending to presidential business, the trips underscore a break with his insistence on the campaign trail that he wouldn’t spend his time golfing because of how hard he would be working. White House officials would not provide details about what Trump did at the clubhouse of the Trump National Golf Club in Sterling, Virginia, over the weekend. Both Trump and his press secretary, Sean Spicer, have knocked former President Barack Obama for his time playing golf on the job. Trump’s first visit to a golf course since becoming President was on February 4 at the Trump International Golf Club in Florida. His visits to that golf course as well as the Trump National Golf Course in Jupiter, Florida, have come during his trips to his Mar-a-Lago resort. He’s also made several trips to the Trump National Golf Club in Sterling, Virginia, just outside of Washington. Trump owns several golf courses around the world and has worked out of some since the inauguration. 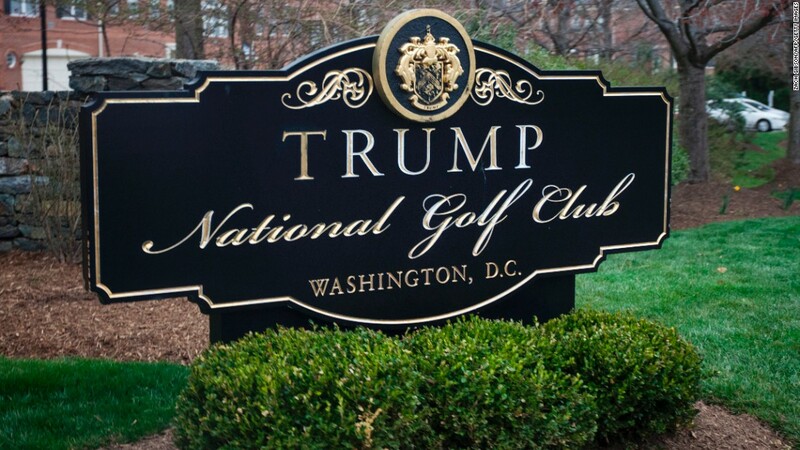 He held a meeting with members of his Cabinet and senior staff at his Virginia golf course earlier this month and hosted Japanese Prime Minister Shinzo Abe at Mar-a-Lago during his February visit to the US. Trump’s staffers have been reluctant to discuss his golf course trips, and many details of his games have instead come from posts on social media.